35% of donors in 2014 were developers. 29% of donors were corporate. 84% of total 2014 Mayor campaign spent by Brodie. Excessive campaign spending seen as corruption of democracy. Condescending and rude to junior Councillors. Card carrying member of the corrupt Liberals. In power since 2001. Entrenched status quo. No energy. Retirement long overdue. Lobbied against bridge over the Fraser River. 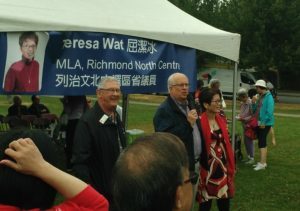 Brodie endorsing MLA Teresa Wat who does not live in Richmond and allegedly has ties to Communist China military personnel in Canada. 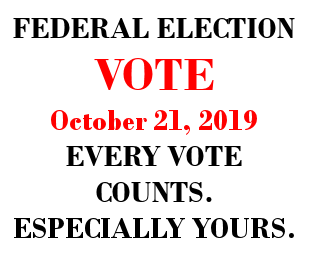 Click here for additional information. 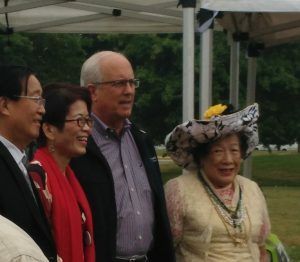 Brodie with Faye Leung, a Chinese-Canadian woman who brokered a “business deal” that caused the resignation of former Premier Vander Zalm. For more information, click here. 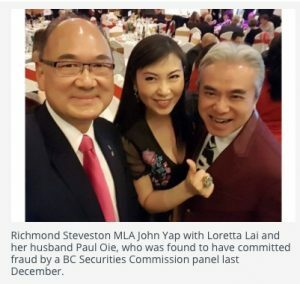 Brodie receives $1,250 campaign donation from convicted fraudster Peter Oie, but refuses to give it back, or give it to charity. Ethically challenged ? You decide. Click here. Picture courtesy of Richmond News.